Leigh has a teaching style that is both energetic and fun. The information is not only useful and applicable to all REALTORS® , it also breaks the monotony that the typical seminar style of learning features. 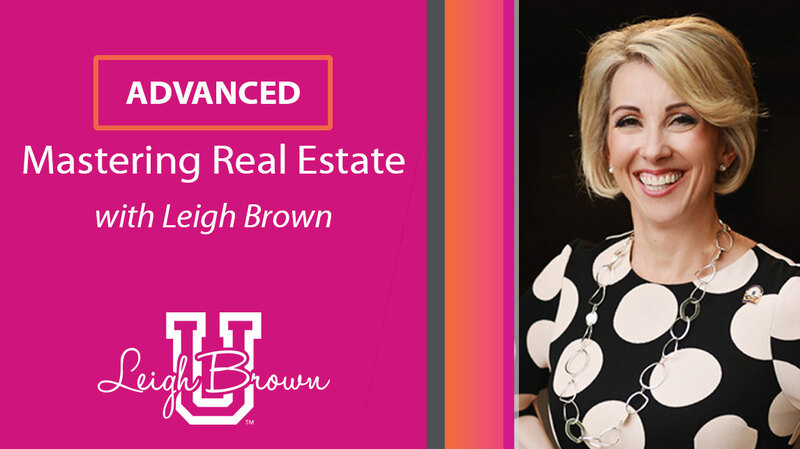 The beauty of this course lies in the benefits it shares to both beginning and accomplished REALTORS® alike. Those who have grown their real estate business to a profitable point often fail to break through their ceiling; this course will show you exactly how to increase your influence and reach new heights! Starting out in this industry can be a real challenge. Not to fear; this course will show you strategies and techniques that will get you on a growth path, without having to spend your life savings to get there. For those just starting out or looking to grow beyond their current realm. You'll learn valuable strategies to help you expand your influence and increase your overall profit. If you are ready to kick it up a notch, this is the course for you. Complete ADVANCED Course AND Private Facebook group bundle! 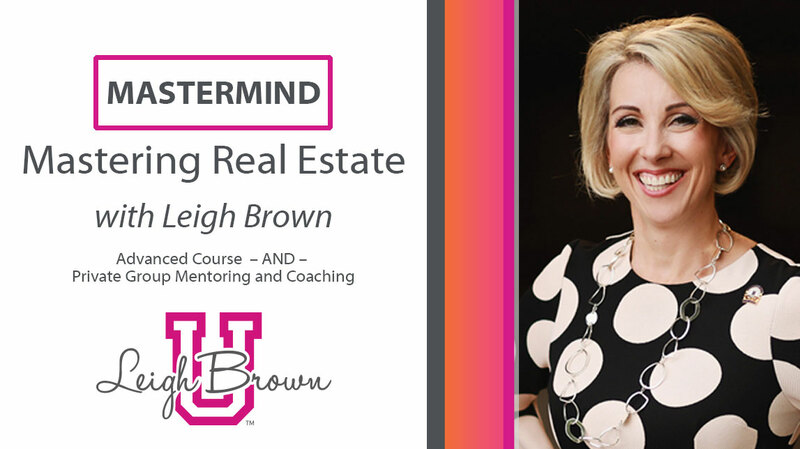 Network with Leigh Brown and other top-producing mentors, and like-minded peers. Attend the Facebook LIVE sessions to ask your important questions direct to Leigh.